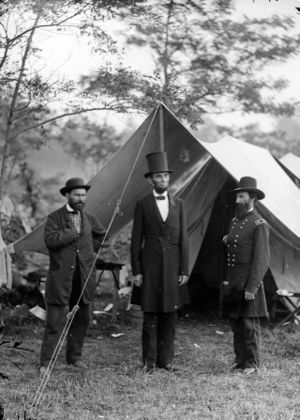 In 1850, Allan Pinkerton founded a detective agency that would grow into the Pinkerton's National Detective Agency. Pinkerton's agency is easily the most famous and infamous security guard and detective agency in United States history. Pinkerton originally created the agency to help railroad companies investigate their employees and catch train robbers. But over time, the Pinkertons developed an intimate relationship with the federal government and as these partnerships grew the Pinkertons' role increased dramatically. This relationship started after the Pinkertons provided personal security to Abraham Lincoln during the Civil War. By the 1870s, the Pinkertons investigated and hunted down people (including outlaws such as Jesse James, Butch Cassidy and the Sundance Kid) who stole railroad and bank money on behalf railroad and express companies with the approval of the Department of Justice. The Pinkertons are probably most notorious for their role in suppressing labor in the last twenty five years of the 19th Century. 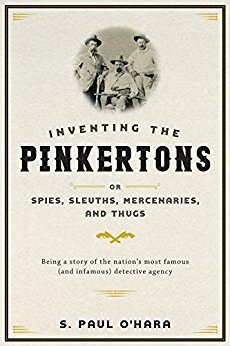 S. Paul O'Hara's new book Inventing the Pinkertons; or, Spies, Sleuths, Mercenaries, and Thugs published by John Hopkins University Press attempts to separate the myth from reality and paint the real picture of the most famous private detective agency in United States history. JHU Press states O'Hara explains who "American capitalists used the Pinkertons to enforce new structures of economic and political order." Professor Maury Klein had said that the book not only explains how "the convoluted tale" of the Pinkertons, but reads "like a detective novel." 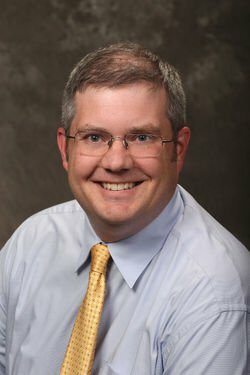 S. Paul O'Hara is an associate professor at Xavier University and he also the author of Gary: The Most American of All American Cities. Here is out interview with Professor O'Hara. I would call myself a cultural historian because I am interested in not only the conventions and forms of American popular culture (in this case, the literature of detective fiction, memoir, exposé, and dime novels) but also the linguistic structures of storytelling. I think that this can be a useful way to understand the social and cultural processes of industrialization in the 19th and early 20th centuries. As Americans grappled with the economic and social changes around them, they created a folklore and language to explain their new culture. I find myself drawn to the cultural metaphors and touchstones that society used to debate and discuss their hopes and fears; the Pinkertons were certainly one of these metaphors. What were the Pinkertons? What was their primary function? Pinkerton’s National Detective Agency was a private firm established by Allan Pinkerton in 1850 to provide detective services and police protection to banks and railroads. City police forces, which were just being created, tended to focus on riot prevention and social order, so private police or ‘special’ police often provided extra services to paying clients. Quickly, Pinkerton’s developed two distinct divisions: a detective branch where undercover agents could uncover embezzlement, counterfeit, or other crimes and a ‘protective patrol’ which could provide armed guards. Because of its close association with railroad businessmen such as George McClellan, the detective branch morphed into an espionage and counter-espionage service during the Civil War. In the years following the war, railroads and banks hired the firm to protect its interests from bandits such as Jesse James, striking miners in Pennsylvania, and rustlers and squatters in the west. By the 1870s, undercover agents would also be hired to expose criminal immigrant conspiracies, anarchist societies, and potential labor organizations. They became labor spies. Meanwhile the protective patrol began to take on an ever larger role in patrolling mill towns, breaking strikes, and busting heads during labor conflicts. By the time Henry Frick brought 300 Pinkerton guards to Homestead, Pennsylvania, the firm was already notorious as capital’s private army. How did you become interested in the Pinkertons? What attracted you to their history? The origins of this book came out of my experience teaching the US survey to college students. Every January I would get a fresh batch of students and we would pick up the master narrative in 1865, but, with the epic story of the Civil War gone, the first couple of weeks of the class always felt a bit disjointed. We would spend one week talking about Reconstruction and Redemption in the post war south, then the following week we shifted to the post-war west. Then we moved to urban industrialization and immigration, and so on. One of the things that I developed to connect it together was a running narrative of the Pinkertons. Thus our discussion of southern redemption ended with Jesse James as an unrepentant southerner hunted by northern railroads; our discussion of the west started with James the ‘western’ outlaw and ended with Butch Cassidy and the closing of the west. We could then segue into industrialization and immigration with the Molly Maguires and the Homestead Strike. All of these subthemes built toward the Populist party and its call for the abolition of the Pinkertons. It helped the class hang together. In so doing, it became clear to me just how broadly involved and pivotal the agency was to the Gilded Age. There were so many important events covered in Pinkerton fingerprints. Slowly my thinking about the agency began to shift; they became less a framing device to connect various parts of the narrative and more of a driving force in the rise of monopoly capitalism after 1865. The presence of the same agency confronting counterfeiters, railroad bandits, cattle rustlers, immigrant miners, anarchists, Mexican revolutionaries, steel strikers, and so others, began to show just how interconnected the rise of capitalism was in the Gilded Age and just how transformative the new “rules” of the market (and the armed detectives who enforced these rules) were. Why did a private security firm become so prominent? Simply put, the Pinkerton agency became prominent because, for many Americans, there was a fear of disorder and a perceived need for order and the Pinkertons looked like the only people capable of providing that order. In an age of territorial expansion, Pinkertons served as law and order where the state had no other representation. In an age that feared immigrant radicalism, Pinkertons uprooted ‘criminal’ conspiracies. In an age of bloody labor conflict, Pinkertons were the muscle of industry. This desire for order also led city and state officials to create professional police forces, construct urban armories, and mobilize a national guard. However industrialists often found such institutions of order unreliable. Instead they turned to privately hired agents to insure order; for the most part state and federal officials were happy to let this happen. Moreover Allan Pinkerton built his agency into a powerful and lucrative business by exploiting these perceptions of order and disorder. Through a series of books chronicling the adventures of his detectives, he tied his reputation directly to the emerging literary genre of detective novels. Such stories guided readers through a newly modern world because they promised that crime was an abnormality that could be contained and that the power to place the world in order (a power held by the detective) always proved stronger that the criminal’s power to disrupt social order. At the same time, sensationalist descriptions of Pinkerton agents also fed readers’ guilty pleasures of criminal worlds and anarchic chaos. Labor periodicals, exposés, and dime novels, however, would offer a very different understanding of the Pinkerton agent. Counter narratives offered Pinkertons as the hired mercenaries of a new social order intent on crushing traditional communities. If one reason for the firm’s prominence was a perceived need for order, the other is the fact that everyone talked about them. The Pinkertons had a fearsome reputation and were seen as extremely competent in the 19th Century. Was that an accurate description of the company? Reputation was tremendously important to Allan Pinkerton and his agency, but the firm’s reputation was also complex and contradictory. The meaning of the agency was layered in myth and counter-myth, narrative and counter-narrative. Allan Pinkerton crafted his agency’s reputation upon new ideals of professional and moral detectives capable of delving into the depths of the criminal underworld. For certain audiences, then, the Pinkerton’s did have a well-deserved reputation as highly competent and professional lawmen. However fans of Jesse James or defenders of the Molly Maguires countered with infamous tales of hired mercenaries doing the railroad or mining companies’ dirty work. This reputation was less about competency than ruthlessness, recklessness, and fearsomeness. Even amongst businessmen, some saw the Pinkertons as the armed men holding back the tides of anarchy, while others saw reckless thugs who exacerbated conflicts and spurred public outrage. Still others, especially the publishers of dime novel fantasies, portrayed the Pinkertons as incompetent fools, the almost comedic foils for the novel’s heroes. As for accuracy, each of these versions could, depending upon the location, the perspective and the teller of the tale, be an accurate description of the agency. This ambiguity of reputation shaped the meaning of the Pinkertons and continues to shape how we view them. Even now when American popular culture reenacts the Pinkertons we tend to fall into one of two stories- they were either courageous law men bringing justice and order to unruly places or they were armed thugs in a time where moneyed interests could buy their own justice. 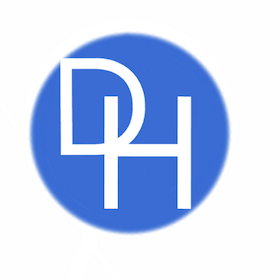 New popular history books, children’s books, television shows, etc. continue to peddle in one of these two versions of the Pinkertons. And one can certainly see why, they are a collection of really great stories. However, not only is this a vastly oversimplified choice of how to understand the agency but maybe more importantly this dichotomy of Pinkerton fame and infamy actually has a history just as long and just as complicated as the agency itself. How does your book add to our understanding of 19th-century America? What is the core message you want your readers to take away from your book? I think a cultural history of the Pinkerton agency reshapes our understandings of 19th-century American capitalism and the rise of the nation state. Largely focusing on the biographies of leading industrialists or the lost artisanal traditions of workers, scholars have long shown how managers within new corporations changed the rules of the game in their favor; they became the “visible hands” of the market. Explorations into the history of capitalism have given us a broader sense of how a market economy which commodified every exchange and dislocated older communities rose in the 19th century. Between 1850 and 1930 new forms of order and new rules emerged. If corporate managers were the “visible hand” of the market, then the Pinkertons were the market’s visible fist; they were the shock troops of industrial order. Yet this was no laissez-faire system. Because of their unique role as sub-contractors with the postal service, the treasury, and other governmental agencies, the Pinkertons were as much a visible hand of the state as they were of capital. As for a core message, I think that this is a book about, on the one hand, the rise of a particular form of industrial capitalism and the use of private agents to enforce the market’s new rules and, on the other hand, it is a study of how stories get told, repeated, reinvented, and mythologized. Taken together, I think the book shows how important the cultural process of storytelling was to politics and economics. 19th-century capitalism was as much a belief system as an economic system and its heroes, villains, and fairy-tales mattered; there was a performativity and folklore to American industrial capitalism and social order. I fully expected the agency to show up as the armed muscle of industrial capitalism, and that was certainly the case. Whether it was hunting train robbers, harassing cattle rustlers, breaking strikes, “infiltrating” secret societies, etc., the Pinkertons were almost always present to function essentially as capital’s private army. But two things surprised me the deeper I dug into the agency’s history. The first was the really complicated role between the state and the agency. From the 1850s through the early 1890s, Pinkerton detectives were often vested with a quasi-official authority; they worked in an unclear space between official and private. They were capital’s private army while also functioning as an arm of state power. This ‘official’ authority included work with the Treasury and the Post Office, spy work during the Civil War and the Spanish-American War, deputization by local sheriffs, and coordination with urban police. It was this blurry line that gave rise (and name) to accusations of ‘pinkertonism’ or the control of the legal system by corporations and plutocrats. The second thing that really surprised me was the importance of reputation, storyline, mythology and brand. Allan Pinkerton’s success really came less in the competency of his agents than his ability to craft and control the way his agents were discussed in the broader popular culture including not only the press but the emerging genres of detective fiction and dime novels. In many ways the agency is really a fascinating case study in brand management. But therein lay the problem. While the Pinkerton family might have wanted to control the storyline about their agency and agents, they could not. Instead counter narratives of Pinkerton agents as thugs, mercenaries, bad men, etc. became just as much a part of the fabric of American popular culture as the image of the dashing and bold detective and spy. How would you recommend using Inventing the Pinkertons in the classroom? It is relatively short, fairly accessible, and full of self-invented and self-aggrandizing characters such as Allan Pinkerton, Jesse James, Charlie Siringo, Tom Horn, Butch Cassidy, James McParlan, Arthur Conan Doyle, Jack Kehoe, Albert Parsons, Big Bill Haywood, Clarence Darrow, Kate Warne, and others. I think that if someone were looking to cover the Gilded Age for a US survey, this book, because of the scope of the Pinkerton agency, covers a lot of different areas. Otherwise, I think classes that want to analyze the cultures of capitalism and labor, the constructed tales of the west, the making of folklore and narrative, the evolution of crime and criminality, or the language of immigration and order will find something useful and interesting within these pages.